Our Mission: The Delaware Farm Bureau Promotion and Education committee partners with Delaware farm families to create relationships with our neighbors, the consumer, to promote Delaware’s number one industry and educate the public and farmer alike. Students in 6th and 7th grade are encouraged to participate in the Ag in the Classroom Essay Contest! Students are challenged to write a 500 word essay based on a predetermined prompt. NEW IN 2017! Students in 9th and 10th grade are encouraged to participate the Ag in the Classroom Essay Contest! Students are challenged to write a 1,000 word essay based on a predetermined prompt. The winning classroom teacher will receive a Staples gift card and top three students will all receive cash prizes. Click here for the 2017 flyer! Click here for the Middle School Teacher Packet. Click here for the High School Teacher Packet. 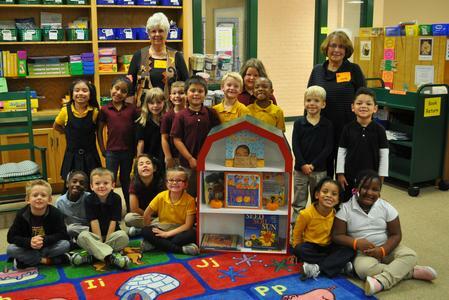 Book shelves shaped like barns are donated to Delaware Elementary Schools to increase ag-literacy in our youth. A set of books, including AFBF’s “Book of the Year,” are also donated with each Book Barn. Book barns have been placed in 21 schools between all 3 counties since it’s inception! View schools that have bookshelves here! Any educators interested in a Book Barn and set of books should contact DEFB at (302) 697-3183. In 2015, The P&E Committee launched the Rural Road Safety Program. 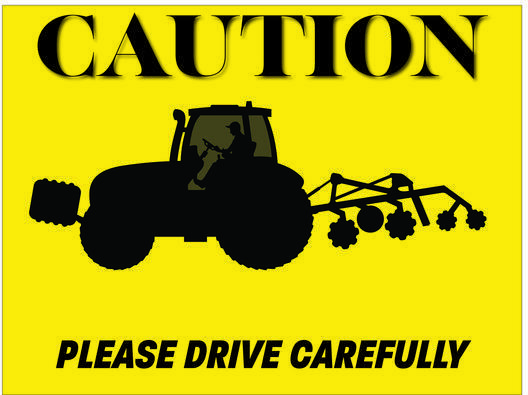 The program is designed to teach drivers the importance of safe driving around farming equipment on Delaware roadways.